People were posting a video from Pixiwoo on Youtube and commenting on her makeup. She had only posted a VLOG and hadnt put up the tutorial yet. 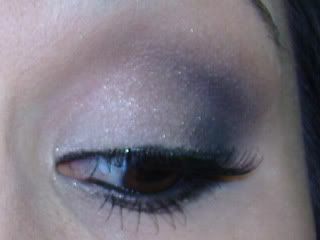 Also one of the FOTD board regulars had started to use false lashes and asked me to do the same. 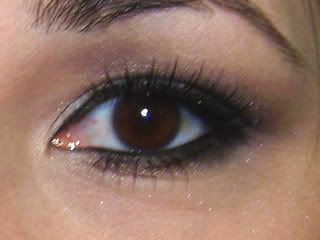 SO ~~ here is my attempt at duping the Pixiewoo look and using false lashes. I will tell you that I loved this look so much I wore it 3 more times that week. BUT I didnt do a video yet. I will get around to it tho. But thought I would share these pics with you anyways. and a token weird face just for you!! Just so you can see it in person for a few seconds, I made this video to see if my fndt was off ~ cause the flash hit the SPF so badly that I looked like a ghost.